Emeritus Professor in the Faculty of Social Sciences, Professor Mike Haynes, considers the centenary of the Russian revolution. November 7 2017 is the centenary of the Russian revolution. Don't be confused. It did occur in October, or at least Russia's second revolt of that year did. But Russia had a calendar that was 13 days behind that of the west so October 25th 1917 there was November 7th 1917 here. But the Russian Revolution did not usher in the new world although for a time it shook the whole of Europe. By the 1930s, under Stalin, Russia had become one of the most repressive states in the world. Was this inevitable? Did Stalin follow straight from Lenin? Were they brothers in arms? I have spent much of my life writing and researching on these issues. Things I have written have been translated this year into several European languages with hopefully Chinese and Korean to come. The controversy will not stop. But recapturing what the revolution was about involves more than analysing the documents of the time and tracking the painful statistics of who did what to whom amongst the epidemics of disease and growing famine that marked the years immediately after 1917. We also need to recover some of the sprit and élan of 1917 itself, we need to understand the music of the streets. There have been several exhibitions in the UK this year that have pretended to do this. For me the worst was at the RoyalAcademy - backed by the money of a Russian oligarch, some of the art and artefacts of the revolution were shown for a price in a huge posh building. This was about as far from 1917 as you can imagine. The revolution was more Banksy than paying to get into the Royal Academy or Tate Modern. 'The streets are our brushes, the squares our palettes', the revolutionary writer Mayakovski said. Looking at the faces in the photographs of the time - some proud, some wary, many expectant can perhaps takes back even more powerfully. 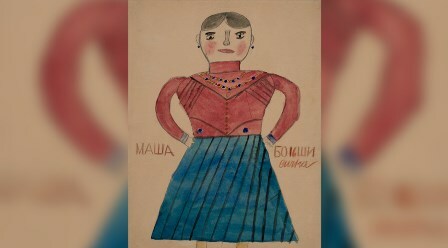 Or what about some preserved children's drawings from 1917 - recently rediscovered and exhibited in Moscow where remembering the revolution is also a big problem for what some see as a new Tsar - Vladimir Putin. What do the children of 1917 tell us? Some show fear but there is also hope and excitement. Look at the three pictures here - in the first we have the street meetings - and even the dogs and cats have stopped to listen. And how about Lenin? Here he is standing against war. Surprised? And what about the revolution and women? 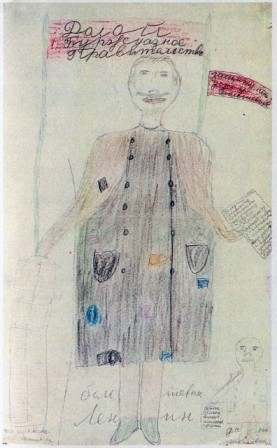 Here is a child's view of Masha the Bolshevik. 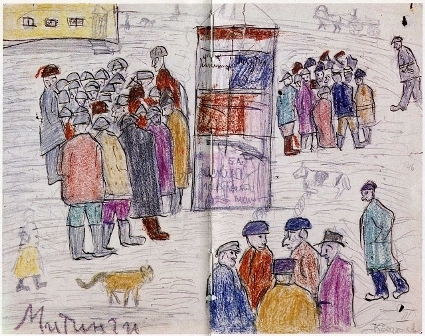 Perhaps through these crude drawings we can, a hundred years on, get a sense of why, while some trembled before the spectre on the streets and in the factories and offices, others became an active part of it. Professor Mike Haynes is author of Russia Class and Power 2002 and co-editor of History and Revolution Verso 2007.